The Palmetto Economic Development Group and the Towns of Williamston, Pelzer and West Pelzer invite the public and the business community to an informational meeting to learn about the Main Street SC program which the three towns are considering. The meeting will be next Tuesday, Apr. 30 at 7 p.m. at Palmetto High School. Beppie J. LeGrand, Director of the Main Street South Carolina Program will present information and answer questions about the Downtown Revitalization Program which is designed to help small towns and municipalities organize structure which will help them turn around their towns. Officials from all three towns will also be present. The program is offered through the South Carolina Municipal Association and is being promoted by the Palmetto Area Economic Development (PAED) group as a way to revitalize the downtown areas of the three towns through a coordinated effort. 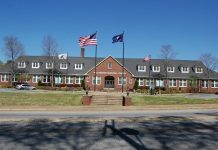 The PAED was formed through the efforts of Williamston, West Pelzer and Pelzer leadership and elected officials in 2011. The group has focused on determining key elements necessary to develop and improve our community while seeking opportunities for new and existing business. The revitalization of downtown areas and local businesses is a foundational accomplishment that can lead to many local successes and provide an improved quality of life for everyone in our area, according to Blake Sanders, Chairman of the group. “We are recommending the Main Street SC program as a revitalization initiative. Through the Main Street SC program our development will be based around preserving our history while developing for our future,” he said. Williamston Mayor Mack Durham has presented information at Pelzer and West Pelzer Town Council meetings and representatives of all three towns including West Pelzer Mayor Peggy Paxton and Pelzer Town Clerk Heather Holcombe, as well as some council members, have attended earlier meetings on the Main St. SC program. “This program has proven successful across our nation and within our state,” said Mayor Durham. “I am very supportive of the idea. There is a large base of support for the idea of a community revitalization effort, we are actively working out the details and this is one of the reasons for this public meeting. The Main Street SC initiative is based on community participation and will seek to engage the citizens of our community throughout the process of developing our plan for revitalization. Sanders said there has been some concern about how the program will be financed. Participation in the Main Street SC program requires a full time local coordinator, an annual membership fee and a three year committment. Mayor Durham has proposed a cost sharing approach between the three towns. “Our identity is very important as a community. We have a very rich and proud heritage. 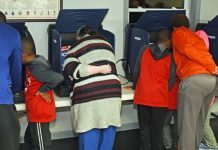 This program honors our past and builds our future as a community all together in one effort,” Durham said. The meeting Tuesday is open to the public and business community, anyone who is interested in economic development and improving the three towns. “This is a public information meeting. All are welcome and encouraged to attend,” Sanders said.